What does Cookshack mean when they say barbecue? The meaning of the word barbecue is as varied as the different ways to spell it. Some standard spellings include “barbeque”, “BBQ”, “Bar-b-Que” and “bar-b-q”. The meaning of barbecue here at Cookshack is the traditional meaning common in the southern United States. To us, it is the art of cooking meat at a low temperature over an indirect fire which adds smoked flavor to food. In Australia, for example, if you asked someone what it was, they would say grilling foods at high temps over direct heat. If you consulted the USDA, they would tell you barbecue “shall be cooked by direct action of dry heating resulting from the burning of hard wood or the hot coals for a sufficient period to assume the usual characteristics, which include the formation of a brown crust on the surface and the rendering of surface fat”. What do we mean by low temperature? Typically, cooking at 250°F or lower is low heat. This is what we call the “low and slow” style of cooking. Grilling is, usually, done at higher temperatures up to 800°F. This is sometimes called “hot and fast” style of cooking. Barbecue started by using fatty cuts of meats that others did not want because they were tough like beef brisket, pork shoulders or butts, ribs and chicken. Now, we call many other types of meats bbq. In some parts of the United States if you put sauce on the item then it is ‘cue. 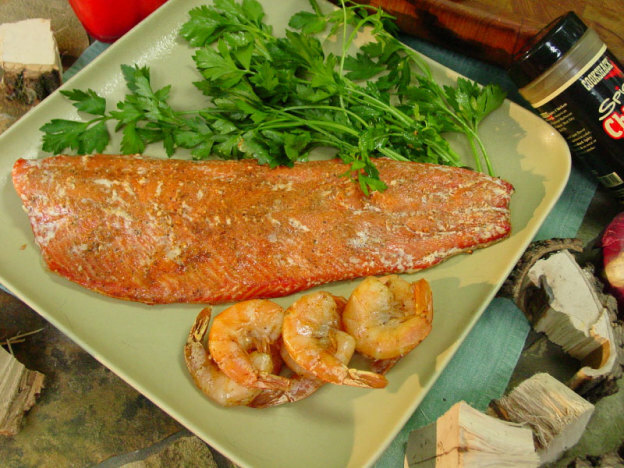 Salmon preparation is not traditional, but if you smoke and apply sauce, it becomes barbecue salmon. Cookshack smokers are ideal for cooking authentic barbecue dishes and non-authentic smoked foods. A benefit of low and slow smoking is that the smoker’s temperature is high enough to cook the meat in a safe time, but low enough that moisture does not evaporate, creating a delicious product. There are many myths about barbecue when it comes to health issues. Barbecue meats have the same shelf life as traditional cooked foods. It is not cured meat or going to last longer so beware of this when storing the uneaten portions. Another misconception is that barbecue is unhealthy because of possible carcinogens. 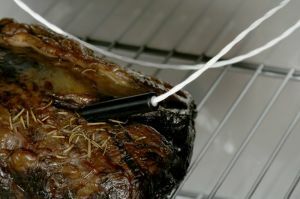 In studies, grilled foods had the potential for carcinogens due to the high-temperature cooking from the grease dripping into the fire and burning. This causes the carcinogens to come back up and into the fire. For more information on this topic, refer to the findings from this report from the government. This entry was posted in FAQs and tagged barbecue on September 30, 2014 by admin.